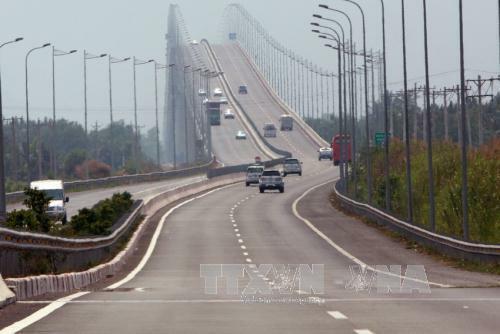 HÀ NỘI — Prime Minister Nguyễn Xuân Phúc has asked that a draft decree prescribing the use of public assets for payments to investors when implementing Build-Transfer (BT) investment projects has no legal loopholes allowing wastefulness and corruption. The decree should have clearer regulations on BT investment procedures with better supervision, he said at a Government meeting held yesterday. Cabinet members agreed that BT projects, which are invested in by businesses that will be paid with assets and goods rather than money, are necessary considering limited State budget resources. Over the years, losses have been reported in a number of BT projects, especially when investors get paid with land, as the land value was calculated lower than market prices. Many localities and businesses have also complained about bottlenecks in the implementation of BT projects, the members said, adding it would block economic development and affect growth if no solutions were employed. They discussed some remaining controversial issues of the draft decree, including the process of land allocation and the bidding of BT projects and land use at the same time. PM Phúc asked the Ministry of Finance to continue collecting ideas on the draft decree, thus ensuring its efficiency to open up broader spaces for optimising resources for national development. Participants also discussed the draft decree on the implementation of some regulations of the Law on Planning, which took effect in January this year. A report from the Ministry of Planning and Investment shows that due to a lack of documents specifying the implementation of several articles of the Law on Planning, ministries, sectors and localities are unable to make new planning for 2021-2030. The Government Office reported that many national, sectoral and provincial plans have yet to be implemented due to a lack of guidance. At the same time, land use zonings of five localities for 2016-2020 are unable to be issued for the same reason which also affects zoning of 25 sectors, and nearly 370 projects. Concluding the meeting, PM Phúc noted there were about 17,000 zonings at all levels which overapped, requiring the elimination of some. Therefore, the implementation of the Law on Planning is crucial. He assigned Deputy Prime Minister Trịnh Đình Dũng to continue directing the removal of difficulties in the implementation of the law.